If there’s anything beautiful to come out of this horrible annual environmental disaster we are subjected to, it’s Nebulo. 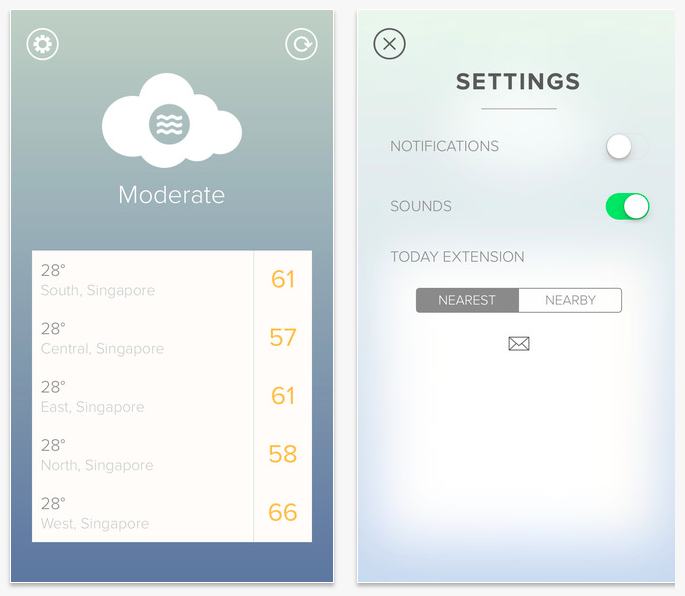 The app — which is made in Singapore — is also available in Malaysia, Thailand, and Hong Kong. 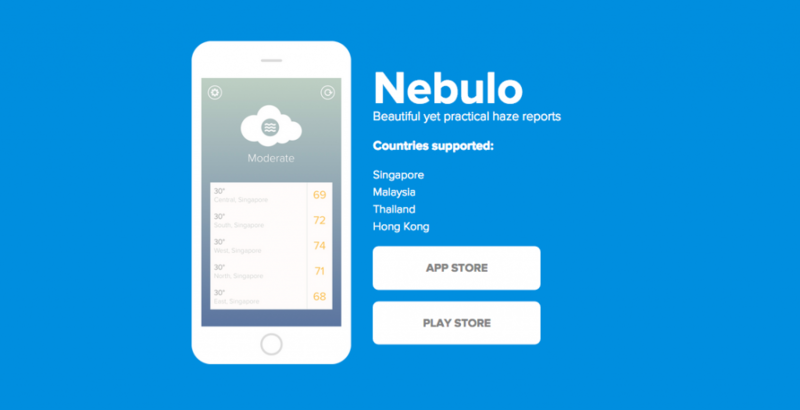 “Nebulo is primarily made as an app to just keep you informed about the haze condition. While there are many existing options out there, we primarily made this app stemming from the frustrations of the lack of an app that just focuses on giving you the numbers at an instant, without requiring you to browse or “hunt” around the screen for your updates,” Duncan Leo, co-founder of Nebulo said. 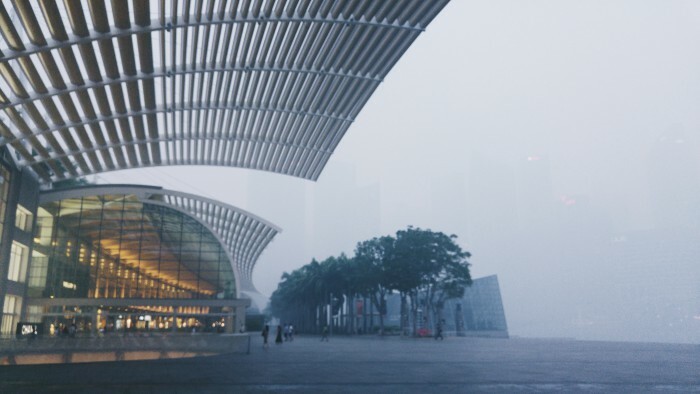 Together with his friend Jurvis Tan, they’ve created something lovely out of Singapore’s #1 woe, the yearly haze. Nebulo is available on iOS, Android — and the Apple Watch! 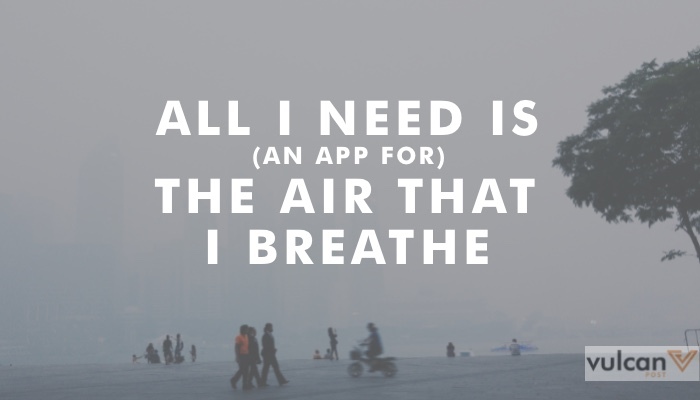 The app is simple — it tells you what you need to know about the air we’re inhaling outdoors. The landing page marks the temperature outside and an explanation of what the air quality is like: we’ve been getting ‘The Air Is Bad’ for the last couple of days. No surprises there. Tap the screen and you’ll get more information about the haze reading. For years, we’ve been plagued by the haze, and every year the same old dispute about the PSI Index arises, together with questions like ‘how can the PSI reading be so low when it looks and smells bad outside’. There is an answer to that: PM2.5. PSI, PM2.5, PM10 — What Is This? PSI has 6 components: particulate matter (PM10), fine particulate matter (PM2.5), sulphur dioxide (SO2), carbon monoxide (CO), ozone (O3) and nitrogen dioxide (NO2). Most of these pollutants are invisible to the naked eye. The “haze” you see is really made up of PM2.5 and PM10 particles. So it may be hazy (high PM2.5 and PM10 readings) but it may not be that unhealthy (e.g. low CO2 and NO2 levels). In fact, PM10 is probably the least hazardous pollutant in the PSI, since your mucous and natural filters will prevent it from going very far down your lungs. Not a building in sight. 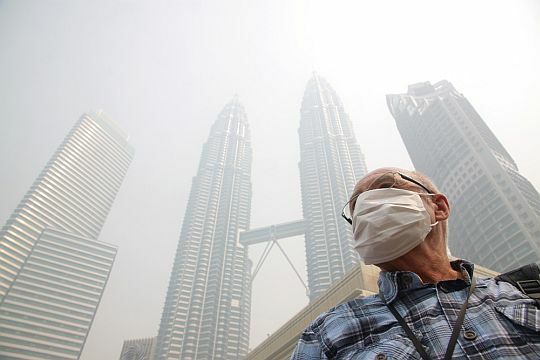 “We get our data from the various government websites; Singapore: National Environment Agency (NEA), Malaysia: Department of Environment (DOE), Thailand: Pollution Control Department, Hong Kong: Environmental Protection Department. For Singapore, we did something a little more interesting with the data. Similar to AQICN, which is an air quality website, we convert the PM2.5 data to AQI using algorithms provided by the US EPA,” Duncan explained. 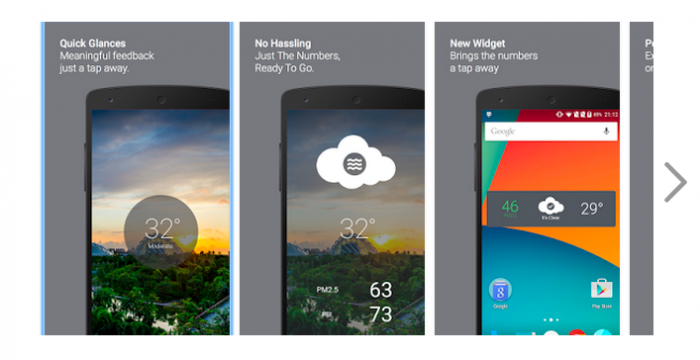 If you’re looking forward to more widgets and features on the app, Duncan explained that they are generally more conservative with feature updates because they personally feel that adding unnecessary features to the app might end up defeating the core ethos of this app — one that’s straightforward without having the user browse around too much. Pretty neat. Hate the haze, but not the app. Looks like we’ll be checking this out frequently in the next few days. Stay safe, everyone!